Besides, Pakistan and Bangladesh, there is another neighbor – Burma that has a 1,624-kilometer (1,009 mi)-long border. Four Northeast Indian states share the border with Burma: Arunachal Pradesh, Nagaland, Mizoram and Manipur. 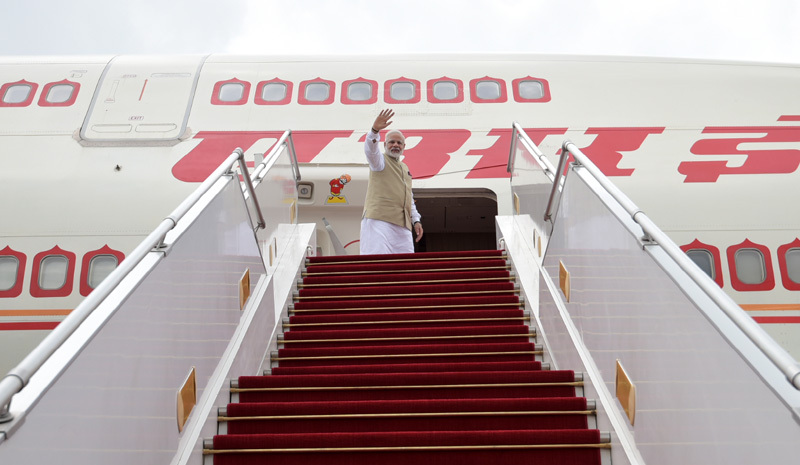 Our Prime Minister Shri Narendra Modi visited Yangon recently. During his visit on Thursday, Shri Modi visited iconic Shwedagon Pagoda in Yangon. 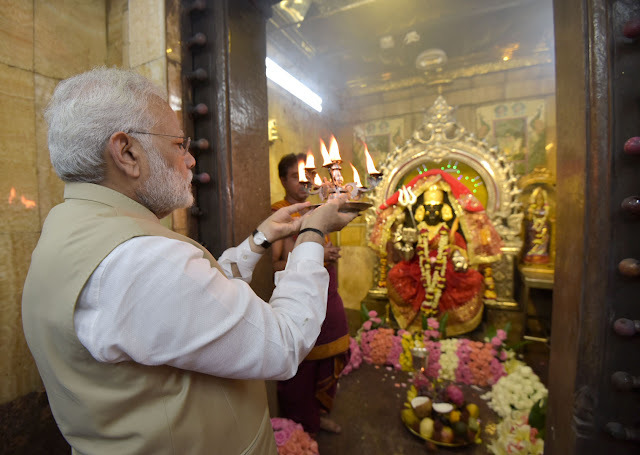 PM Modi, who is in Myanmar for three day bilateral visit, also visited Kalibari. Prime Minister Modi said India and Myanmar can together do a survey for an INA memorial. Naming Mahatma Gandhi, Bal Gangadhar Tilak, Rabindranath Tagore and Bahadur Shah Zafar, he said Myanmar had become the “second home” for those who had to leave their own homes during the freedom struggle. The INA also known as ‘Azad Hind Fauj’ was formed by Indian nationalists in 1942 in Southeast Asia during World War II to secure Indian independence from British rule. Things are not well in the neighbouring Yangon !! it was the fast-flowing river that doomed the inhabitants of Tula Toli. Snaking around the remote village on three sides, the treacherous waters allowed Burmese soldiers to corner and hold people on the river’s sandy banks. Some were shot on the spot. Others drowned in the current as they tried to escape. The story of Tula Toli, while horrific, is not unique. The army, in retribution for guerrilla-style ambushes on 25 August by an emergent Rohingya militant group, has led a huge counteroffensive across northern Rakhine state. Many Rohingya had already escaped. Communal clashes with Buddhists in Rakhine prompted 140,000 Rohingya to leave their homes in 2012. Thousands have since died either at sea or in brutal jungle camps run by people smugglers. Described as persecuted people, reportedly 1.1 million Rohingya people live in Myanmar. Rohingya people claim themselves to be descendants of Muslims, perhaps Persian and Arab traders, who came to Myanmar generations ago. Unlike the Buddhist community, they speak a language similar to the Bengali dialect of Chittagong in Bangladesh. The Rohingya are reviled by many in Myanmar as illegal immigrants and they suffer from systematic discrimination. The Myanmar government treats them as stateless people, denying them citizenship. The minority is described as "Bengalis", reflecting a mainstream perception that members of the Rohingya group are foreigners - immigrants from Bangladesh, with different culture and language. What is seen by many internationally as a human rights issue is viewed in Myanmar as one of national sovereignty, and there is widespread support for military operations in northern Rakhine. Most Burmese view international media coverage as one-sided, putting too much emphasis on the Rohingya, and failing to adequately cover the plight of others in Rakhine who have fled violence in their villages. Local media has focused on "terrorist attacks" and on evacuations of non-Rohingya who have been internally displaced by the conflict. Yangon formerly known as Rangoon, is the capital of the Yangon Region of Myanmar, also known as Burma. Yangon served as the capital of Myanmar until 2006, when the military government relocated the capital to the purpose-built city of Naypyidaw in central Myanmar. Yangon boasts the largest number of colonial-era buildings in Southeast Asia. The city is also home to the gilded Shwedagon Pagoda — Myanmar's most sacred Buddhist pagoda. The mausoleum of the last Mughal Emperor is located in Yangon, where he had been exiled following the Indian Mutiny of 1857. The British seized Yangon and all of Lower Burma in the Second Anglo-Burmese War of 1852, and subsequently transformed Yangon into the commercial and political hub of British Burma. Colonial Yangon, with its spacious parks and lakes and mix of modern buildings and traditional wooden architecture, was known as "the garden city of the East. After World War I, Yangon became the epicentre of Burmese independence movement, with leftist Rangoon University students leading the way. Myanmar has a sizable Hindu population who however struggle to maintain their identity amidst the country’s historically dominant Buddhists. Indians have been present in Myanmar for 2,000 years, but most came in the mid-19th century, when the country’s British rulers brought a million people from various parts of India to take up posts in the government and the army, build roads and railroads or engage in commerce and farming. During World War II, Myanmar (then Burma) was a major battleground between Japanese and Allied forces, with huge loss of life on all sides. Now just two percent of the population, Myanmar’s Hindus are an unassuming and apolitical community focused on their farms, trade and small businesses, rejoicing in the freedom they have to practice their religion. Down there in Yangon exists Sri Kali Temple, locally known as Kali Bari temple, located in the Little India in downtown Yangon, Burma, tracing back to 1871 built by Tamil migrants. 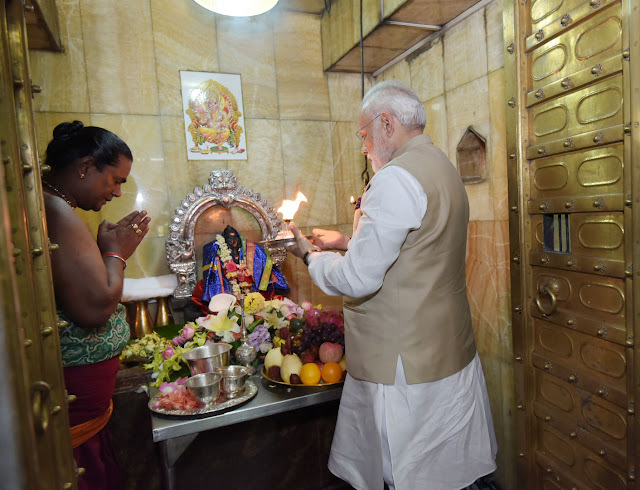 Prime Minister, Shri Narendra Modi visited this temple and here are photos thanks to pib.gov.in. He also visited the Ananda Temple, at Bagan in Myanmar. This is a Buddhist temple built in the early 12th century. It is the second largest temple in the entire Bagan region. The Archaeological Survey of India has carried out structural conservation and chemical preservation work of this temple. Restoration work is being carried out after damage during the earthquake last year. The Prime Minister was shown a photo exhibit depicting the ongoing restoration work at the temple. He offered prayers and made a Parikrama of the temple, during which ASI representatives explained the restoration process.